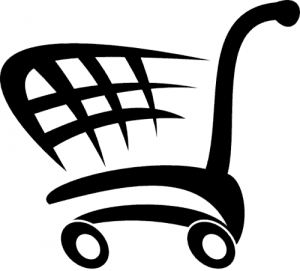 Is Your Shopping Cart Configured for Optimization? One of the main draws of any eCommerce site – aside from great products – is user-friendliness. You want the website design to flow seamlessly and give your visitors an experience that will keep them coming back. An often overlooked aspect of eCommerce web design is the check out area. You don’t want to give consumers a “Hotel California” experience, where they can check in but it’s hard to leave. Not all online shopping carts are created equally, so some thought should go into shopping cart design . As with most things on the Internet, keeping it simple is key. A cluttered, confusing or hard to navigate checkout page will turn customers away fast, no matter how great your product or service is. What’s In Your Checkout Area? Many companies deal exclusively with shopping cart software, and but most web designers include the shopping cart configuration when they build your web site. The checkout process should be easy to access from any page on your website, work just as well on a mobile platform as on a PC, and be easy for you to customize yourself as your business grows. 1. User must register before checking out. Many consumers don’t like this because a) it takes time, and b) they don’t want to give personal information aside from what is necessary to complete the purchase. Newer shopping cart software gets around this by registering visitors anonymously in the background by assigning a customer or transaction number, so checking out is fast and efficient. 2. Window shoppers. These are the people who browse a commerce website, sometimes all the way to the checkout page, with no intention of buying. Not all of them are just time-wasters; some are either comparison shopping or not sure what they want. However, when you add their numbers to customers who abandon because of an unsatisfactory experience, it can skew your statistics and provide you with false feed back. There is really no way to convert these non-shoppers, but you can change a “no” to a “maybe” by offering them a choice to save the item for a later time or add it to a wish list, along with an occasional email reminder. Following the latest best practices when designing your online store will help ensure that you provide the kind of high-quality user experience that makes the top shops what they are. When choosing a web design company, browse their website, but also check out the experience on their client’s sites. You can also find out the design company if you see a design that moves you during your routine web browsing; it’s usually denoted somewhere on the bottom banner of the page, or you can contact the company directly and ask them for the name of their web design team.